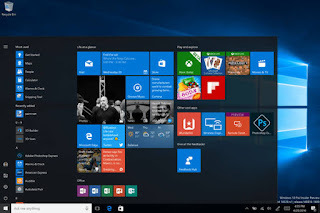 To keep your systems protected and safe from contacting newly security threats, you need Windows 10 updates which obviously very essential during this computer age as mostly tasks carried on daily is used by computer, this can easily gets it exposed to threats. If your PC has already started installing the update, i.e., it is on a blue screen with a progress percentage and explicitly tells you not to turn off your computer, listen to it. As much as it might be tempting to hit the power button to get your PC working again and stop the update in its tracks, you risk damaging your Windows install, which could make your system unusable. Instead, let the update finish, then either uninstall it or use Windows 10’s various roll back and reset options to set it back to how it was before the update began. That should stop the update process in its tracks. You’re done! To reverse the process to allow updates to download and install automatically again, follow the steps above. However, after you select Properties, set the Startup type to Automatic. If you want to trigger an update check, select Start from the menu also. the Windows 10 Group Policy Editor. It can provide an alternative way of stopping an update which some may find preferable. This isn’t available in Windows Home edition, so unless you’re sure you have Windows 10 Professional, skip this section. Windows Components > Windows Update. Select Apply, then select OK.